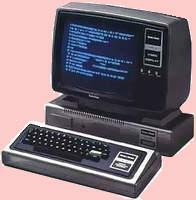 The first computer I bought twenty-five years ago was not a PC as we know it. There was no Windows system on it. Windows would come five years later. There was no mouse, and all you saw on the screen was text. The first chess programs I saw also produced nothing but text. You typed e2-e4, and the machine would answer something like: e7-e5 . But we are all human - or aren't you? So you could easily type the wrong move. If in the position below you want to move your rook to e1, you could accidentally type f1-d1. Since it's a legal move, the program wouldn't protest. But several moves later you'd suddenly discover the rook is not in the place where you expected it to be. Needless to say this can be quite frustrating. These days you can buy a program called a GUI, which stands for Graphical User Interface. If you click a piece and the destination square, the GUI will move the piece to the destination square. These days, there are a few GUIs available as freeware. A very good one is Arena, which can be downloaded from several sites, for instance from http://www.playwitharena.com . Arena itself cannot play chess. 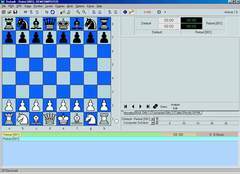 But it can make use of so-called chess engines, some of which are freely available. These chess engines can calculate good moves. Some of these engines play better than the best player in your chess club - unless your club has enrolled Kasparov, Anand or other grandmasters. A special use of a GUIs like Arena is that you can organize tournaments between chess engines, which can be quite entertaining. So if you're looking for a computer program that can help you improve your chess playing skills, or just for fun, why not try arena? 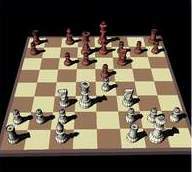 It offers some great possibilties for those who are interested in chess.